watch the two videos to see how it is installed. The first video above, shows the handle set just after it was initially installed before the final inside cover was installed. We used Don-Jo scar plates to cover the 2-1/8" crossbore holes allowing the Combina hardware to easily and securely fit. The Meroni hardware uses a footprint of about 1-3/4" (40mm) crossbore's, so the scar plate is necessary to save from using a wrap around or having to replace the door or fill the hole and re-drill. In September last year, we wrote an article about SEOS, the new access control solution from Assa-Abloy that incorporates NFC (near field communications) into modern access control systems for hotels, institutions, hospitals, dorms, high-rise office buildings and large department companies. This brilliant system (SEOS) now includes their NFC chips in Yale Digital Door Locks. We recently learned that this exciting new development will enable more keyless entry solutions for even the average homeowner. The ability to send a temporary access code to anyone, will avoid the homeowner from requiring to be present for that specialty tradesperson. No more 4 hour windows for arrival by the cable technician. Our post from a few years ago about Kwikset Smartkey Problems, continues to send a great many visitors to this site. Essentially, the post includes a video of the primary issue, with some customers comments included. I'm sure if you continue to search the web, you will find numerous other web logs from people who also commented on the increasing number of problems. I have determined through trial and error and talking with many clients, that the primary issue people face, is the ability to get duplicate working keys for their Kwikset Smartkey Locks. If you require duplicate keys for your Kwikset Smartkey Locks, be sure to visit your local locksmith and deliberately ask for factory produced original Kwikset keyblanks. And then ask to have your key originated, instead of duplicated. A new factory originated Kwikset Smartkey blank, cut to code on a code machine will work simpler and easier with much more reliability than any duplicated copy. 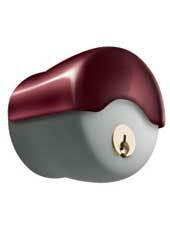 Be sure to ask for original factory Kwikset keyblanks and not after market copies (like Ilco or Axxess or similar). Now, I realize that it may not be convenient for you to look for your nearest locksmith shop, but you already decided to purchase your Kwikset Smartkey product from somewhere other than a locksmith and most probably because you intended on saving some money. You know what that says, right? Paying Peanuts, Gets You Monkeys! 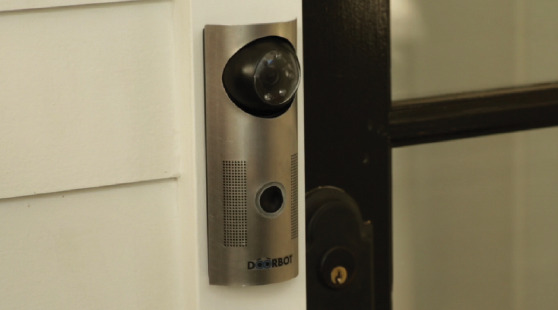 Doorbot is an intelligent product that will make life so much easier for homeowners. There are many search inquiries by people looking for a wireless peephole and in the past we have written some articles that have shown different ideas and products available around the world. We posted about the fabulous Lockitron wireless deadbolt converter a while back and we are expecting our first three units any day now. The Doorbot has been carefully designed to incorporate a separate model that will work alongside the Lockitron. this means that you will be able to see who is at your door whether you are home or not and unlock your door remotely if you so desire. Perhaps a little on the expensive side, for a glorified doorbell, but this is a product that will appeal to many and varied homeowners. See video after the jump. Continental Automotive Group are a large international manufacturer of sophisticated electronic control systems for passenger, commercial, special and two-wheeled vehicles. It turns out that Continental Automotive Group have been one of the leaders of this research for about 3 years now and are ready to begin selling these advanced access control systems to the various automobile manufacturers worldwide. 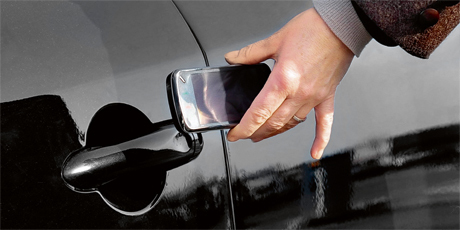 The Locksmith industry, worldwide has seen many new key manufacturing machines and auto-diagnostic companies develop after market (after-dealership) diagnostic devices capable of programming and originating the electro-mechanical transponder keys used in the modern automobiles we see today on the road. 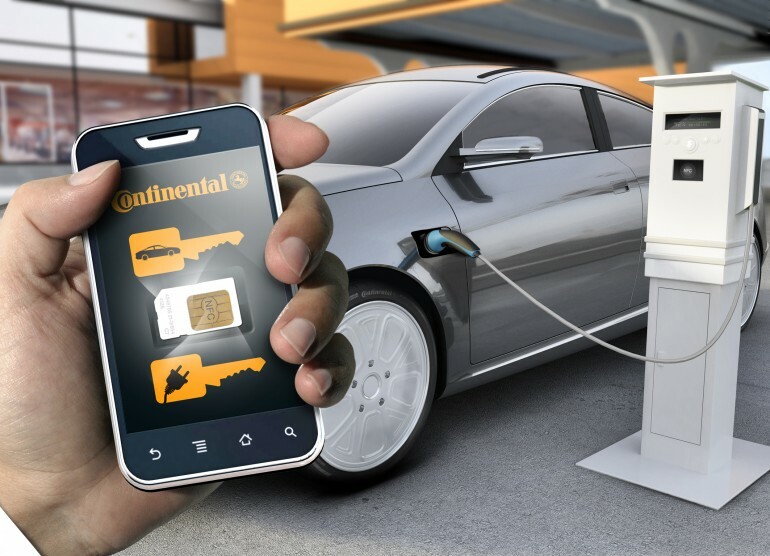 When NFC started to be included in mobile telephones (smartphones), Continental were one of the first companies to recognize this highly secure technology would dramatically change the whole automotive access control market. According to ABC News in Australia, four more people have been infected with a new strain of bird flu in China. This is hot on the heels of information obtained on Sunday that three more infections - two of them fatal - occurred in recent days. The new strain of bird flu called H7N9 is being played down by the World Health Organization (WHO) but they said it is crucial to find out how the new strain of avian influenza is being spread to humans. This knowledge should highlight why it is vital and important for all public buildings, schools, hospitals, medical centers etc to increase their onus of responsibility to their patrons. Responsibility in the form of protecting people from the possible transference of harmful bacteria, especially from the touching of door handles. Just about every person touches a door handle every day, but are virtually completely unaware that shared contact of surfaces is one of the fastest methods for spreading harmful diseases. Because the % of transmission from surface touching is considered low by statistics standards, it is most likely due to communal surfaces not being considered as potential causes of the spreading of diseases, that people generally dont consider door handles to be of sufficient importance to their health. Luckily for some, Serrature Meroni have been producing their patented Anti-Bacterial range of door knobs for a few years now. As a dwelling owner or manager, it is your responsibility to maintain the health of all persons that enter or use your property. Using a door handle that prevent the transference of harmful bacteria should be a consideration not to be passed on. This is the Pigio 1 by Serrature Meroni. This product is now able to be keyed up to Schlage C keyway. this wll enable some users in the USA to combine their existing key systems with the fabulous range of Serrature Meroni push/pull handles they have become well known for. The Combina by Serrature Meroni is another of their handle range that can be keyed alike with Schlage C keyways, further encouraging consumers in the broad American market to combine Meroni and their existing Schlage key systems. Meroni have also produced some of their range that have been approved and certified by the respected Underwriters Laboratory for use with government or institutions installations. This is an important requirement for use by most public buildings subject to approval from local fire marshals and other authorities having jurisdiction (AHJ's). Serrature Meroni products proudly introduce a completely new design of door latching product that is sure to change the door hardware and door lock industry. The new technology allows for a conventional door lock to have an almost silent operating door latch with no visible lipped strike plate. 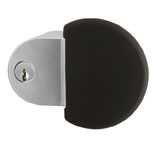 This improves the look of the fitting and increases the security as well, by having no bevelled latches, thereby preventing the loiding trick (using a card or screwdriver to push the latch back) on conventional latching door locks. The video after the jump is in Italian and shows the new latching technology being used in the Proxima product (3:26). You can also see the latch being used with the fabulous Combina and Nova handles (1:11). 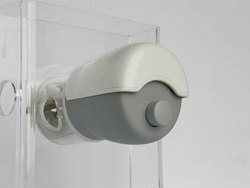 Serrature Meroni, the fine Italian manufacturer of nouveau door locks first produced their design awarded UFO lock system about 10 years ago and have seen relatively large demand for this unique product, swell over the years. Following direct discussions with both UPS and Fedex engineers, Serrature Meroni proudly introduce the latest update to this very special security product. 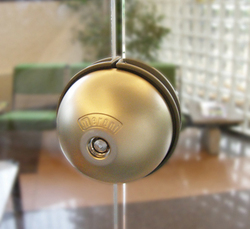 Answering their needs for an especially designed product that can be master keyed to a unique stand-alone high-security pin tumbler system using keys that are virtually impossible to duplicate, Meroni reconfigured the entire UFO product line and came up with the fabulous UFO+ product. This fabulous new product developed in conjunction with engineers from UPS and Fedex, is increasing the security of the new vehicles used by these progressive carriers.